Janke grew up in the small coastal town of Stilbaai and matriculated in 2015 at High School Langenhoven in Riversdal. 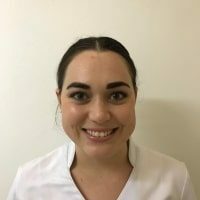 She studied at the Isa Carstens Academy and completed her three-year diploma in Somatology as well as CiDESCO in 2018. She has a keen interest in medical aesthetics and enjoy performing non-invasive, rejuvenating treatments. To her, it is of upmost importance for her clients to feel comfortable and beautiful in their own skin.